Welcoming Mark Beringer as the 2019 Honorary Chair! Mark Beringer, great-great-grandson of Beringer Vineyards’ founding brother ​Jacob Beringer,was immersed in wine from the moment he was born in the heart of the Napa Valley. As the direct descendant to Beringer’s first winemaker and one of the most iconic family names in Napa Valley wine history, he knew from a young age that he would follow in the footsteps of his ancestors. As a young man he spent many hours working in his family’s wine store in St. Helena, expanding his knowledge of wine as well as gaining an appreciation for wines outside of the famous region he has always called home. After a stint in high school working as a stock clerk at the historical family property at Beringer, Mark spent summers working at Raymond Vineyard until he graduated from California State University in Fresno with an Enology degree in 1990. Eager to immerse himself in winemaking upon graduation, he spent a year in the cellars at Benziger in Sonoma and then joined Duckhorn in 1992. 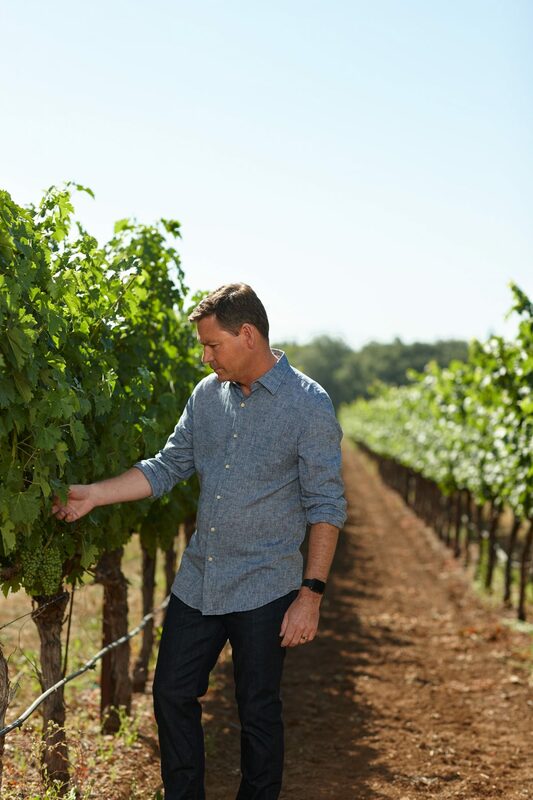 Mark began as Enologist and worked his way up to Vice President of Winemaking at Duckhorn, earning the accolade of #6 Wine of the Year from Wine Spectator for the 1999 Duckhorn Napa Valley Cabernet Sauvignon during his 15-year tenure. There Mark was able to bring to life his passion for component winemaking and the use of traditional methods when possible so as to let the terroir best show itself. In 2009 Mark joined Artesa as Vice President and Winemaker, where he oversaw hundreds of acres on the estate and notably improved quality and recognition of the portfolio. In 2015, Mark Beringer came ‘home’ to Beringer Vineyards, joining as Chief Winemaker and following in the footsteps of acclaimed Winemaker Emeritus Laurie Hook. “I’m absolutely thrilled to be making wines for the very winery that my ancestor built, and be part of the next chapter in this important story of Beringer and of the Napa Valley. I take tremendous pride in being part of this unique winemaking legacy and being the 8th winemaker among a hallowed roster of talent including Ed Sbragia and Myron Nightingale,” notes Mark. Proud father to three daughters, Mark enjoys mountain biking and skiing in his free time as well as traveling with his wife, a commercial pilot. For more information on Mark Beringer, and to check out his wines, click here.